OrderDynamics provides digital commerce solutions for retailers and brands allowing them to accelerate online revenue growth and unify Omni-Channel commerce operations. OrderDynamics has developed its own Order Management System (OMS) and E-Commerce Platform (ECP). Forrester Wave named the OrderDynamics OMS Platform to be a SaaS market leader (Forrester Wave 2014) and its ECP platform as “one to watch” (Forrester Wave 2015). Currently one of the UK’s largest residential and mixed use developments on the outskirts of Edinburgh. The first phase of the development is well underway and over time more than 3,450 badly needed new houses will be built, together with associated infrastructure including a new motorway junction giving access to the M9 and a new railway station thirteen minutes from Edinburgh’s Haymarket Station. 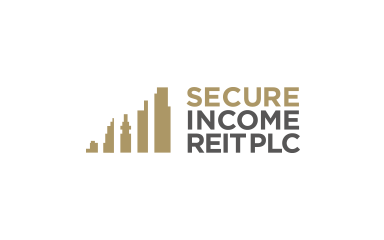 We hold a major equity position in the Secure Income Reit which owns a portfolio of high quality property assets generating very long term secure income from exceptional tenants including Merlin Entertainments and Ramsay Healthcare. The portfolio includes some of the UK’s top visitor attractions including Madame Tussauds and Alton Towers, together with twenty one private hospitals. Onzo provides state of art data analytics for utility companies to engage their customers in understanding and managing their energy use by providing predictive,actionable and valuable insight from complex data. With patented algorithms, Onzo’s load disaggregation technology and personal energy insights deliver greater energy efficiency and enhanced customer engagement. In 2007 we cornerstoned the creation of the $100m Samsara Indian Opportunity Fund which is developing over 12,000,000 ft2 of industrial and residential property across 9 projects in India alongside our local partners. DynamicAction is a cloud based predictive analytics company focuses retail industry. It is based in Silicon Valley. DynamicAction instantly connects data from every part of a retail organization – marketing, merchandising, operations, customers, returns and finance – across all channels. DynamicAction provides big data insights and more importantly prescribes prioritized actions which, when actioned, increase retailer profits. Frost & Sullivan called DynamicAction “first-of-its-kind technology” and “critical for retail success”. TVSquared, founded in 2012 in Scotland, offers a same-day TV Attribution advanced algorithmic platform that measures the impact of TV advertising on sales. It empowers TV advertisers to measure their success, achieve higher ROI on advertising and have better management of their media spending. More than 350 brands and agencies across 46 countries use TVSquared to identify which advertising spots drive the most engagement and where efficiencies can be made to reach their target audience and drive the greatest response. West Coast Capital acquired the business in 2003 and built it dramatically with the team led by Chief Executive, Brian McCluskey. The footwear business became the UK’s leading high street fashion footwear business – the destination of choice for fashion conscious 15 – 35 year olds offering an unrivalled breadth and depth of unique own brand footwear and on-trend brands with many styles and designs that are exclusive to Office. From 16 stores on acquisition West Coast Capital and the incentivized management Team, built the business up to 118 outlets. 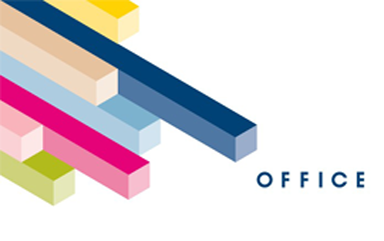 West Coast Capital and the management Team realised significant gains when we took the decision to sell the business in 2010…Office remains the leader in one of the fastest growing and most resilient segments of the footwear market. eCommera was founded in 2006 by West Coast Capital. Since then, eCommera grew to be a global leader in System Integration for retailers serving over 25 brands with more than 150 sites across 30 markets. eCommera built a track record for delivering, managing and innovating multi-channel commerce platforms for major international brands and retailers including Clarins, Asda Direct, House of Fraser and Jimmy Choo. West Coast Capital and the management team realized significant gains when the business was sold in 2015 to one of the world biggest marketing agencies, Dentsu Aegis Network.